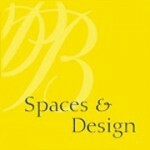 Spaces & Design has its dexterous involvement on every aspect of interior designing. With the creative and innovative approach the designing team is ever ready to give your Spa & Salon a fresh outlook. Check out the innovative lifestyle interior designs for different clients of Pooja Bihani, the modern interior designer from Kolkata, India.